Pharmacy Technicians assist licensed pharmacists in retail, home infusion, and institutional pharmacies. They provide medications and related health care products to patients and relieve the pharmacist of the responsibilities of mundane tasks. These include answering the phones, operating the cash register, answering routine customer questions, stocking shelves, and other administrative duties. 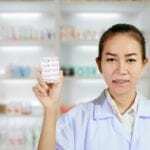 The State of Ohio requires pharmacy technicians to complete an approved pharmacy technician training program and meet the other certification requirements. The job outlook for the profession is positive. According to the United State Bureau of Labor Statistics, employment is expected to grow 20 percent between the years 2012 to 2022, a rate that is faster than the average for all occupations. The Pharmacy Technician program at Ross Medical Education Center teaches students how to function as an assistant to a licensed pharmacist. The curriculum may be completed in 36 weeks and includes theory and practical instruction in the pharmaceutical and medical terminology, microbiology, and pharmacy law and ethics. Students also learn microbiology, trade and generic names of drugs, inventory control, compounding procedures, calculating dosages, and much more. As a part of the training, students must complete a practical externship to graduate. This component of the program is critical in that it gives students a chance to apply their knowledge in a real-world setting. It also presents an opportunity for a potential employer to assess students before making a hiring decision. Ross Education is committed to students’ success in the field, and encourages certification through the PTCB. The school offers reimbursement of the exam cost to graduates who take the exam. Tuition costs $14,600. The Pharmacy Technician Program at the Cincinnati State WDC prepares students for employment in long-term care facilities, clinics, home infusion pharmacies, medical insurance organizations and similar settings. Through 50 contact hours, students learn medical terminology, reading and interpreting prescriptions, generic and brand name drugs, dosage calculations, and I.V. flow rates. They also gain practical skills such as the role of a pharmacy technician, aseptic techniques and the handling of sterile products, parenteral and compounding, inventory management and financial issues, and drug regulation and control. Graduates are prepared for success on the PTCB certification exam. Students should have or be pursuing a high diploma or GED. Tuition costs $1,299. The 140-hour pharmacy technician program at the Warren County Career Center equips students with the skills and knowledge that will help them qualify for entry-level employment in pharmacies. They are also prepared for national certification as a Certified Pharmacy Technician. 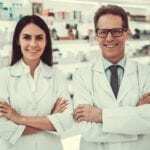 Coursework includes medical and pharmacy terminology, aseptic techniques, pharmacy law and ethics, the role of the pharmacy technician, preparing and dispensing medications, and inventory control. In addition to the classroom lectures, students must participate in an 80-hour externship, which takes place at the conclusion of the program. Applicants must have a high school diploma or GED, complete the WorkKeys assessment, and attend an orientation session. A background check and immunization (MMR, flu vaccine, tetanus, varicella, Hepatitis, and TB one-step) must be completed prior to participation in the externship. The tuition costs $1,650 and includes textbooks, background check, one set of scrubs, and certification testing fee. An additional fee of $60 for the application and Workkeys test will apply. 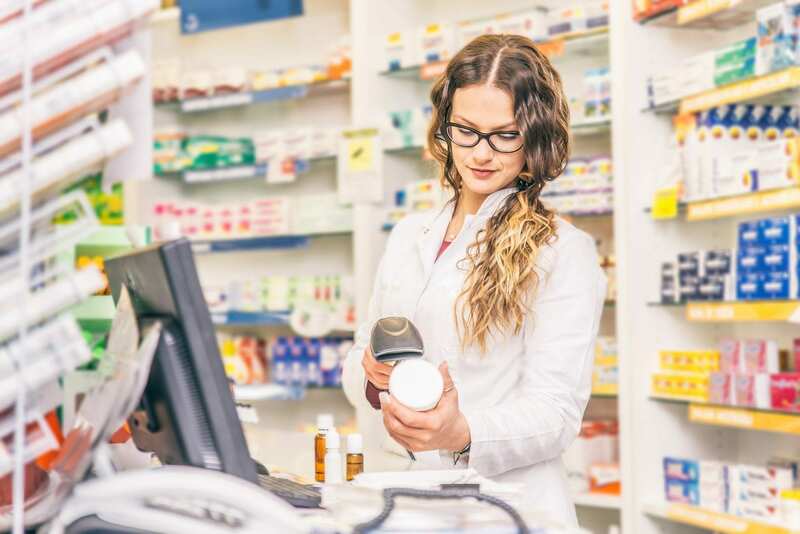 American National University’s pharmacy technician diploma program provides students with the knowledge, hands-on skills, and practical field experiences to assume an entry-level pharmacy technician position. Graduates are prepared to sit the Certified Pharmacy Technician (CPhT) exam. The program provides the foundational skills students need to purchase an associate’s degree in medical assisting if they choose. The curriculum covers a wide range of topics including pharmacy procedures, basic computer operations, basic chemistry, pharmacy law, medical terminology, and dosage calculations. Practical sessions will reinforce drugs and their applications, maintain patient records, preparation of prescriptions, managing inventory, recognition of trade and generic drug names, and labeling pharmaceutical products. The pharmacy externship reinforces classroom and lab experiences. Tuition for the 10-month program is $20,130. Books and supplies cost an additional $2,700.